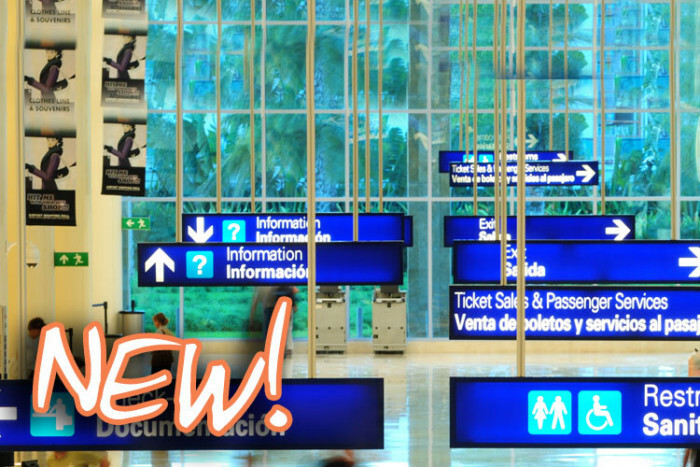 Cozumel International Airport has many direct flights to North America and Mexico City. If you're arriving to the island by air we offer excellent Cozumel airport transfers and car rentals from the airport. There is also a convenient air shuttle offering Cozumel-Cancun flights. Flights to/from Mexico City and the rest of the world. Flights to/from Toronto/Montreal and the rest of the world. Flights to/from Miami/Dallas-Fort Worth/Chicago and the rest of the world. Flights to/from Denver and beyond. Flights to/from Chicago/Las Vegas/Los Angeles/Minneapolis-St. Paul/San Francisco.